Semi-Permanent Makeup offers lasting results for beautiful brows, eyes and lips. Save yourself time and money and look your very best every single day! Semi-Permanent make up, also known as micro pigmentation, is a revolutionary method of inserting small amounts of pigment into the dermal layer of the skin in order to enhance a woman’s features. It lasts up to 2 years, providing a long term solution for women with sparse, over-plucked or uneven brows, or those simply wanting to look their best. Semi-Permanent makeup typically consists of the skilful application of eyeliner, eyebrow simulation, and lip colour to enhance a woman’s natural beauty. Tired of sparse, uneven or badly drawn on brows? 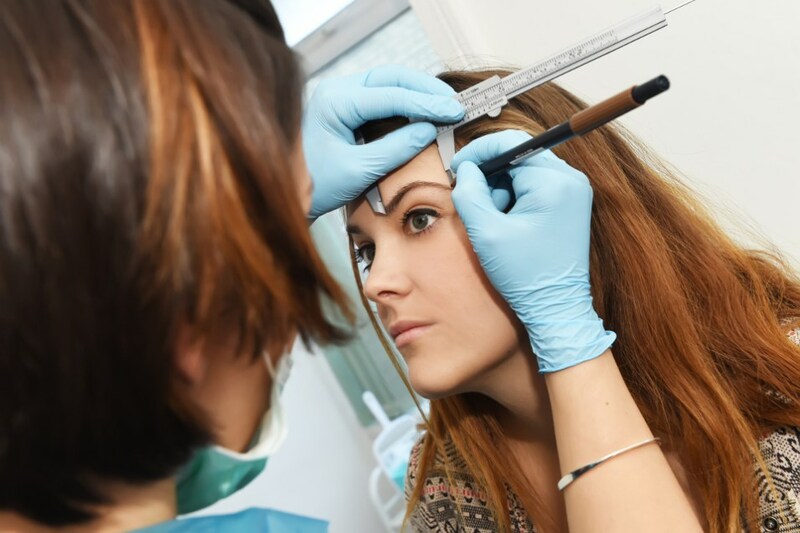 Your technician will work with you to design your new brows so that you can visualise the shape and shade before any tattooing takes place. We will then apply the semi-permanent colour by tattooing each individual hair stroke one by one using an ultra-natural brow simulation technique; building long and short strokes, following the growth pattern of your natural eyebrows. Your design is a true original, done without the use of stencils and designed bespoke just for you! Note: whilst we may carefully shape your existing hair, it is not necessary to remove the eyebrow hairs you currently have.